Healthkit is a powerful tool if you want to create an iOS mobile app based on health data. However, it’s not only for body measurements, fitness or nutrition; it’s also sleep analysis. 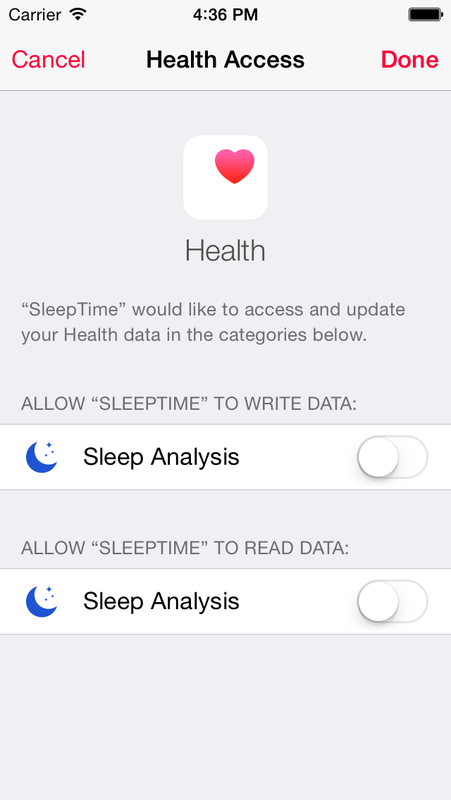 In this Healthkit tutorial, I will show you how to read and write some sleep data and save them in Health app. I’ve recently added an example written in Swift 2.0 and designed for Xcode 7. If you don’t know Healthkit framework, the better way to start is on Apple Developper. If you don’t have time to read all this stuff, here is a small resume. HealthKit makes it easier to share data between apps. For developers, you no longer need to download APIs and write custom code to share with each app. Apps can benefit by accessing a wider range of data, giving each app a more complete view of the user’s health and fitness needs. Both HealthKit and the Health app are unavailable on iPad. The HealthKit framework cannot be used in an app extension. You should allow your app to get access to Healthkit. In your app project, go to your current target > capabilities and switch on the HealthKit button. It will add Healthkit framework automatically to your project. We are now ready to code. This code will prompt a Health window to ask permission to the current user. With the completion block, you can handle success or error and get the final result. Don’t add all objets params if you only need “share authorization” or “read authorization”. It’s really important to request only what you need because Apple can reject your app if they don’t understand your goal with these data. Choose wisely and don’t add all of them “for fun”. Now we have permission to make some request. Let’s get some sleep data! To read some data, we need to prepare our query. My point of view is that’s very similar with CoreData framework: we define object and we can use predicates, sort descriptors or limits. Here is my code to get sleep data between two dates. let value = (sample.value == HKCategoryValueSleepAnalysis.InBed.rawValue) ? 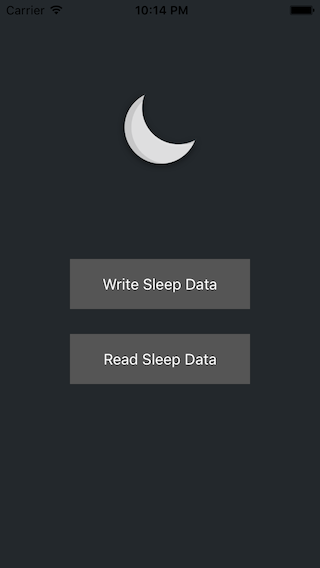 "InBed" : "Asleep"
At the end, we are able to read some sleep data from Health app. We know if it was a sleep time, or a bed time, and which app pushed it. It’s a really good thing to know because some apps are not accurate, we can filter them to ignore their data. For me, I import only connected app data from Jawbone, Withings, Fitbit or Beddit and the manual data added by the user. Finally, we added a new bed time in Health app. It’s really easy to read and to write some data. We just need to create a new sample object which can be saved with Healthkit. Healthkit is an easy tool to get access to a lot of personal data. But don’t be naive with what you read: if an other app saved fake data in Health app, you can compromise your own when you read them. You also must care about how you read and write: Healthkit doesn’t handle duplicated data, we can have multiple sleep data at the same time with the same start date or end date, from multiple sources. Hope this Healthkit tutorial will help you, comment it if you have any questions. Since I published this post last year, I received more and more emails asking about details on the implementation. 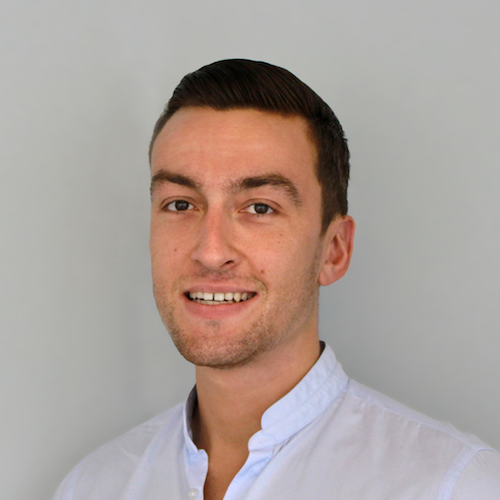 I’m happy to let you know that I’ve published a HealthKitDemo app on Github. Enjoy!